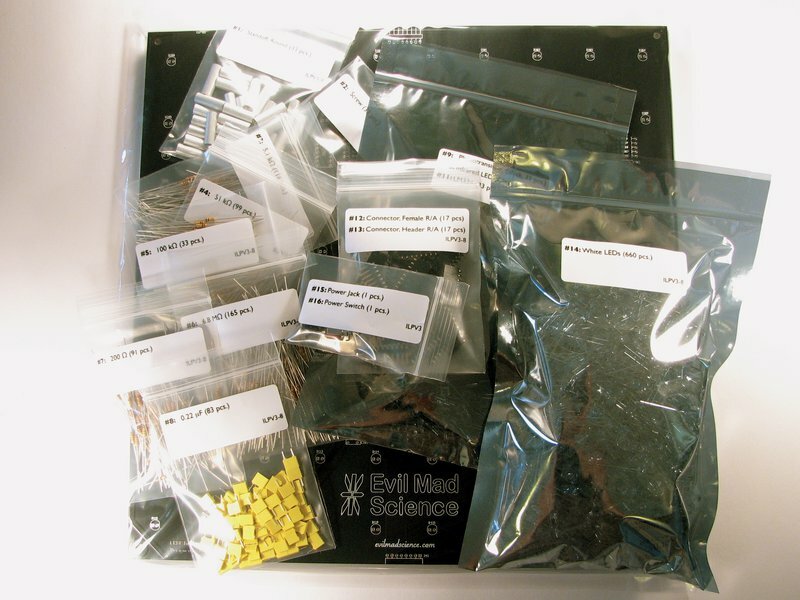 Soldering kits to build your own Interactive LED Panels with white LEDs. 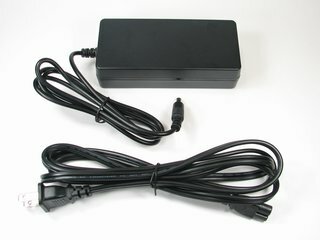 24 V Power supplies are sold separately. Custom packed; Typically ships in 2-4 days. 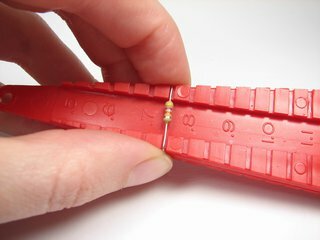 For other kit sizes, please edit the total quantity in your shopping cart. 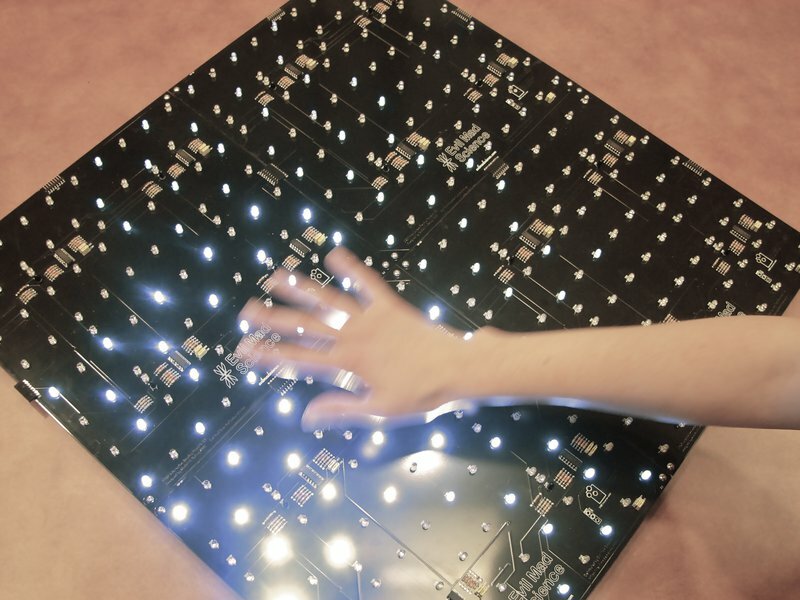 Large-scale circuit board panels embedded with LEDs that respond to motion with graceful ripples. Can be tiled to cover large areas. Available as soldering kits or ready to use. 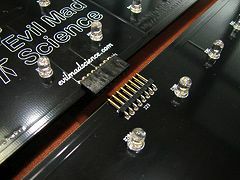 This is the soldering kit version of the original Evil Mad Scientist Interactive LED Panels. 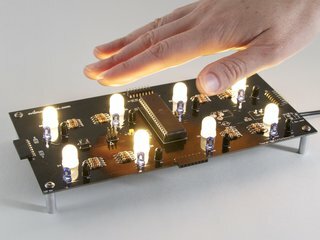 See also our newest Interactive LED kit, Octolively. 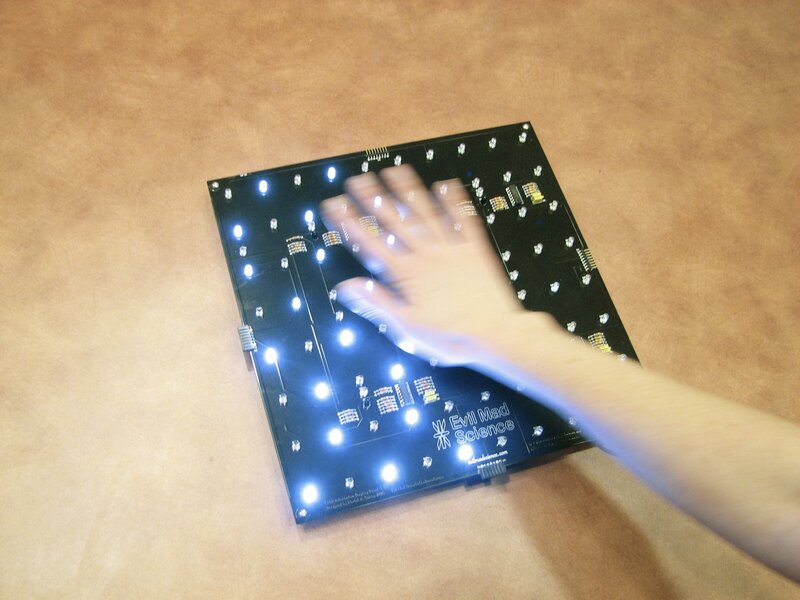 Interactive LED panels are giant circuit boards filled superbright LEDs that respond in a complex, subtle, and gentle fashion to stimulus provided by human interaction. They can be used as interactive art on your wall, or tucked under glass to make your own Interactive LED Coffee Table. The best way to get the idea is to watch a video and see how the panels behave. The LEDs in our panels are normally dim and constant-- the most you'll see in a dark room is a faint glow of twinkling like the night sky. But when you set your glass down on an interactive table, the table "sees" the motion, and induces a slight ripple starting in that location that can spread out to other areas as it dissipates. The overall effect is a bit like touching a pool of water, in that your local disturbance turns into an overall gentle rippling, and eventually settles down. It is decidedly not a disco floor-- there is not any blinking, programmed oscillations, or for that matter, any digital electronics at all-- the circuitry is completely analog for improved aesthetics and reduced eyestrain. 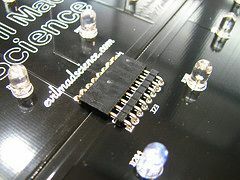 Our circuit board panels are black, 12" x 12"(~30.5 cm) square, with 80 superbright white LEDs arranged on a regular grid. 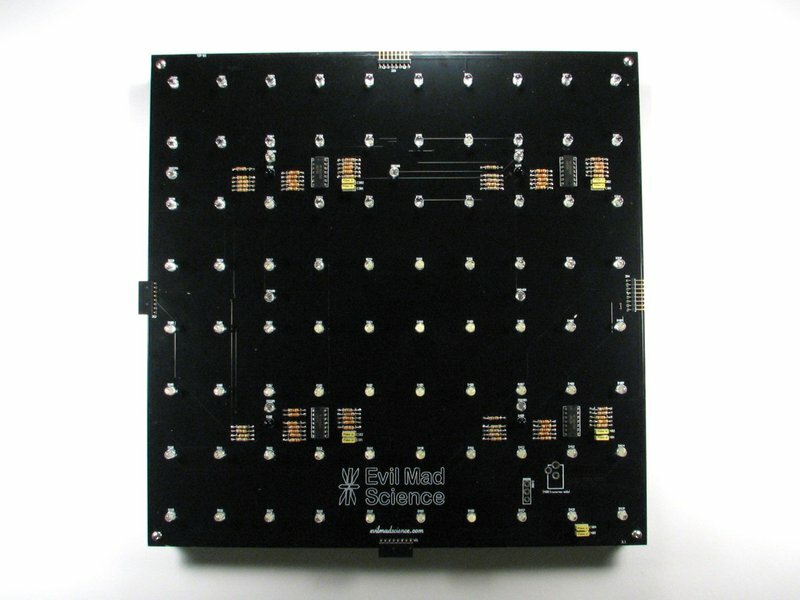 Each circuit board panel has four motion sensor nodes, each of which controls 20 of the LEDs. So, a 6-panel setup covers six square feet of area (1x6 or 2x3), has 24 sensors and 480 LEDs, while an 8-panel version has 32 sensor nodes and 640 LEDs. We have also added new plug-in plug-out connectors to each board edge making it easy to reconfigure the panels in any rectangular arrangement. Interactive panels are essentially stand-alone devices. They require power to be provided but no computer or other external control is needed. 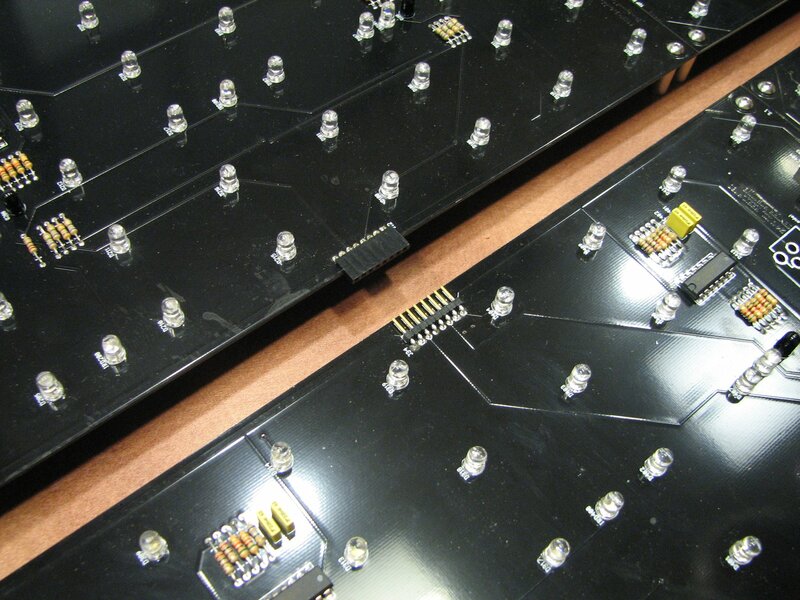 Neighboring panels that are seamlessly connected together through their edge connectors can share power and communications between sensor nodes. Our standard power supplies (see below) can provide power to up to 12 panels. Larger numbers of panels can also be connected together if you wish to build a larger display; instructions on how to do this ship with the panels. You mount these panels on a wall, in a coffee table, or on facing sides of a hallway, for an interesting art project. 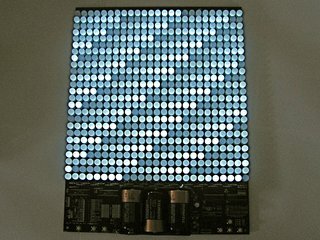 Interactive LED Panel Kits. These soldering kits [?] include circuit boards, components, and clear step-by-step printed instructions. You should have some experience soldering and allow 1-2 hours per panel. Power supplies are sold separately; see below. Power supplies are sold separately from Interactive LED Panel Kits. 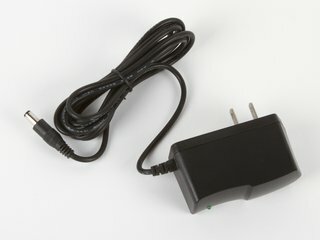 The power supplies are compact and energy efficient (Energy Star Level IV compliant) laptop-grade 24 V DC adapters. Our "Large" power supply (actually quite compact) powers from 1-12 panels. Small US and international versions are also available, and power from 1-3 panels. 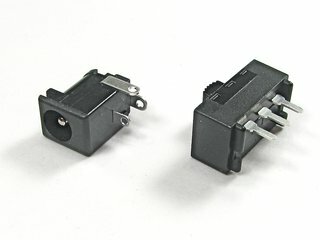 Please see the product pages for the large, small US, and small international power supplies for more information and to purchase. 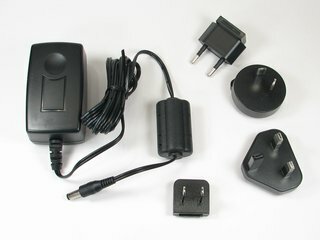 So, if you get (for example) an eight-panel kit and want to make two smaller four-panel Interactive LED end tables, you'll need (A) two power supplies, but also (B) an extra power jack and power switch for the other table. Click here for more information and the purchase link. We take great pride in our kit designs; we believe in clear instructions, unambiguous labeling, goodies, and including a few extras of most small, easy to lose and/or break components. Assembly of the boards is pretty straightforward if you like to solder; it basically requires stuffing the components in the boards and soldering (a lot of) easy through-hole components. 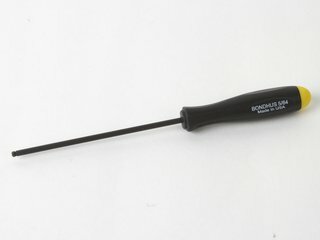 You should have prior experience soldering and basic soldering tools. Read more about what to expect in our kits here. Kits include superbright white LEDs or are available in blue here. If you plan to use your own LEDs instead of ours, please see also this note.